GMB have called for the reinstatement of a former RATP Dev public transport company employee after he was dismissed following a collision whilst driving a faulty vehicle. The employee, who has over 20 years of bus driving experience, had been working for the company based in Park Royal for 6 weeks. After on board warning systems requested a stop, the employee twice reported the mechanical fault to a controller but both times was told by his manager to follow company policy and return the bus to the garage. This was despite only being able to travel 10 miles an hour and not having complete control of the bus. At a roundabout the bus surged to 15 miles an hour and he collided with a car. A week after the collision, the employee was told he had failed his probation and was dismissed without notice. An appeal was submitted on the grounds of unfair dismissal, failure to give notice of the meeting and not having a union rep at the dismissal/probation meeting, but it was not upheld. GMB have since filed a complaint with the Public Transport Commissioner regarding the company’s failure on health and safety. 10. The Right to be treated with dignity and respect by our employers, TfL and the public. “When the bus broke down I expected the engineer to come out and told them the bus should not be moved but was instructed to drive the bus. “After driving 5 minutes I called again with my concerns and was again told to carry on. “This case is further evidence of the dangers of London’s outsourced bus operators. As long as a London Bus Driver ‘Bill of Rights’ is not integrated into public transport policy we will continue to see these examples of negligence. “We’ve said it before, the safe operation of busses by the outsourced operators must be made TfL's top priority. RATP Dev can count themselves lucky that on this occasion no one was hurt or injured, but as we saw last month 8 people were killed and 719 very seriously injured by the London busses in the 12 months to end June 2018. “Our member was told to follow company policy, whilst made to drive an unsafe vehicle. 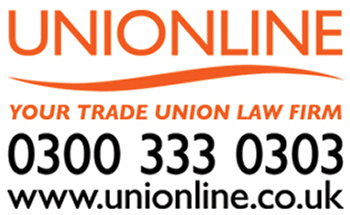 His dismissal should be deemed unfair as it not only broke health and safety laws, but trade union laws by not giving him enough time to obtain a GMB representative for his dismissal hearing, and employment laws after he was left with no pay over Christmas and was only paid part of what was owed to him in January.